This lens is Primoplan 8cmf1.9 for Nacht Exakta Camera. Nacht Exakta means Exakta for Night, which was made for the photograph taking in room or under condition not to obtain enough light value. The body itself has no difference from normal middle format Exakta, despite the lenses attached were very fast f1.9-f2.0 normal lenses. Because I have not seen so many photos taken with this Nacht Exakta, so I do not know how often this camera was used in the night.In 1920’s and 1930’s, some camera manufactures have made Nacht Kamera to enable taking photo under low light situation which was impossible with the main f3.5-f4.5 lenses with showing off their technical ability at the same time. 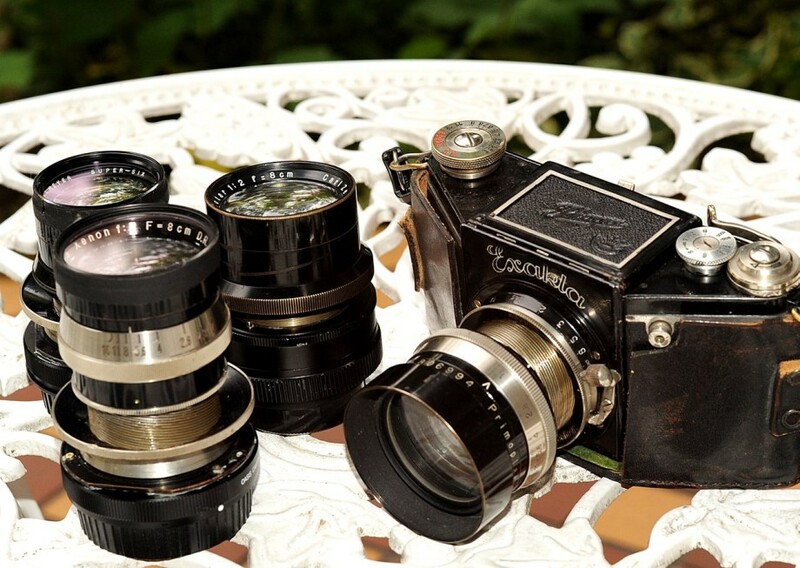 The cameras by Ihagee or Mentor company equipped with Plasmat f1.5/f2.0 or Prolinear f1.9 lenses are famous. For Nacht Exakta , 4 main normal lenses are provided. Zeiss Biotar 8cmF2, Schneider Xenon 8cmF2, Dallmeyer Super-six 3inchF1.9 in Double Gauss design , and Meyer Primoplan 8cmf1.9 in modified Ernostar design. Even there might be some variations and some articles do not include Super Six 3inch into the lens list, I could think the above 4 lenses are its basic lineup. As the body of Nacht Exakta works unstable with its shutter speed control because of its age, and it is troublesome to obtain and develop 127 film which is already end of sale for a long time, I asked to make the adapter these lenses to fit Leica S2 camera which has closer size of CCD to 127 film. It is so easy to interchange these lenses onto the adapter, you have to be careful not to fit the bottom of Xenon 8cm which has convex glass element out of its body. I took photo with this Primoplan for Nacht Exakta adapted on Leica S2. It showed fantastic description with comfort. The depth of fucus is very thin, but the point of focus is very sharp and also bokeh on the back has no odiousness. Indeed this is Primoplan. I visit Shinagawa shukuba matsuri every year to spend very cheerful time always.